The switch, the model, and the foreground was all created with one shot using a studio light to camera left create daylight and a dimmer studio light behind the model and to the right to create moonlight. Black cloth was used to “flag” the studio light creating the sunlight to create the diagonal line between night and day. 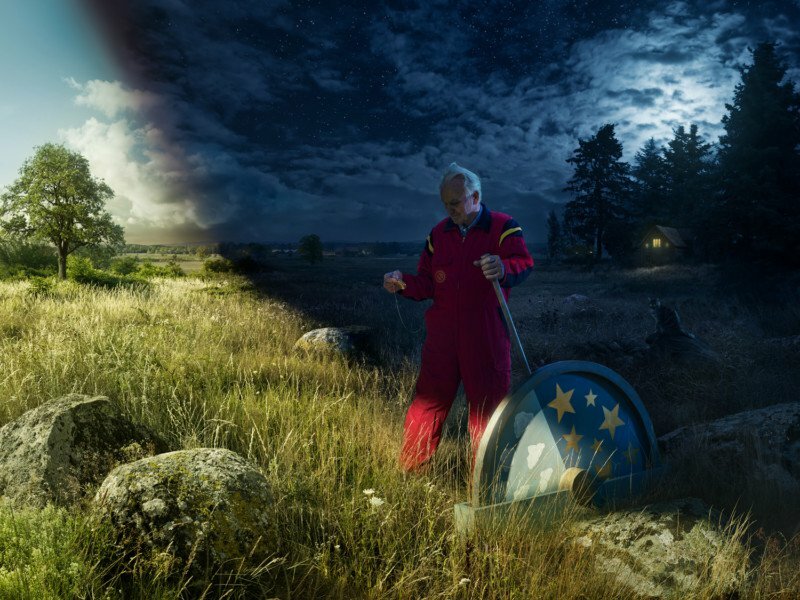 A second photo was taken when it was night and composited in to create the night in the background. Another image was taken to add the cat. A lot of work went into planning, shooting, and post production. This video show the whole process. More information on the creation of this image is here and here. You can see more of Erik’s stunning images at the link below. This entry was posted in Photographers by Jim. Bookmark the permalink.